The polo shirt…a classic wardrobe staple consistently re-imagined for the modern man since its beginnings as a humble tennis shirt. 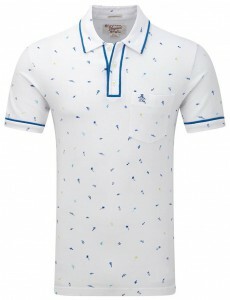 From a long sleeved, uncomfortable top to a short-sleeved pique cotton design that has a place in almost every gentleman’s wardrobe – the classic polo top began life in the hands of French tennis legend and fashion designer Jean Rene Lacoste. 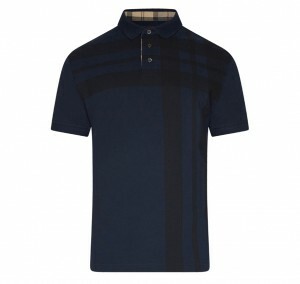 Since then almost every clothing brand in the fashion world has a version of their own polo shirt, featuring classic detailing from the sartorial collar to the edged cuff sleeves and button placket neck. We showcase our top twelve summer ’15 designs you need in your collection. 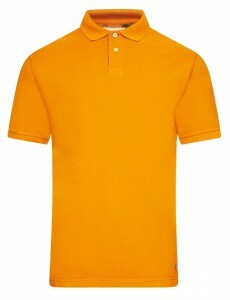 Bright and quirky, the men’s Barbour Redmire Polo Shirt radiates charm with its liquid gold colour palette and smart sartorial design. 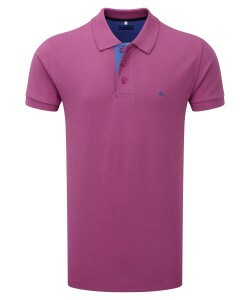 Dapper and sporty with a classic feel, the men’s Magee Andy Raspberry Polo Shirt embodies the traditional design and fuses it with a contemporary pink hue – the perfect pop of colour for summer time events. 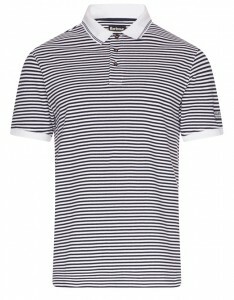 The men’s Barbour International Striped Polo Shirt brings impeccable fit combined with modern, stylish detailing and a narrow striped nautical design. The classic crisp white collar and cuffed sleeves are a refined touch. 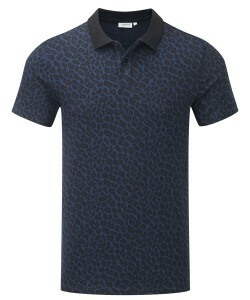 For a heavy dose of rock and roll rebellion, the men’s J. Lindeberg Rubi Jacquard Polo Shirt fuses a classic silhouette with a modern jacquard print and slick black collar, perfect with dark skinny jeans to amp up your style credentials. The Original Penguin Conversation Print Polo Shirt marries a classic white base with a cool and retro inspired scattered conversation print. 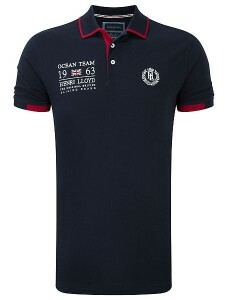 Embody the classic sporty aesthetic with a crest or emblem this summer and channel a heritage appeal. 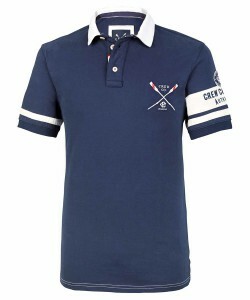 The men’s Henri Lloyd Nether Polo Shirt is a pivotal design as part of the Ocean Racer Collection and showcases a team embroidery emblem to the chest in traditional nautical colours. 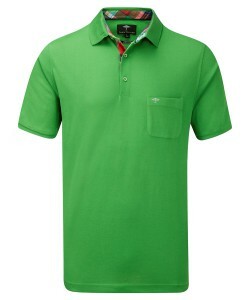 Perfect on-shore or off with chino shorts and deck shoes. 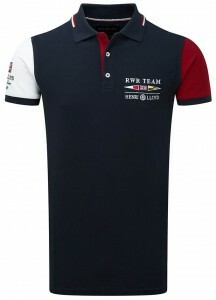 The men’s J. Lindeberg Rubi Bolt Polo Shirt exudes a flawless fusion of classic sports styling with a fashion-forward edge for a true rock and roll wear. Release your inner rebellion and wear with black skinny shorts and canvas pumps. 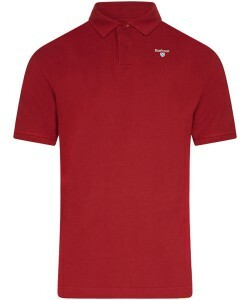 Whether it’s your favourite pair of jeans, a smart pair of chinos or your best summer shorts…the classic polo shirt can be worn with almost anything in your wardrobe. 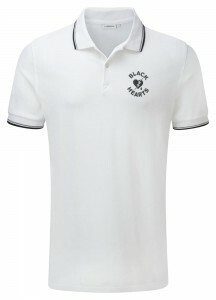 For all of our top styles and to browse the rest of our must-have designs, shop our men’s polo shirts.